Hmm. 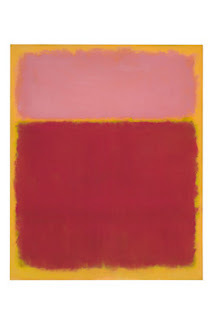 A 'new' 7-ft Marc Rothko? Palm tree justice realized: an Egyptian court jailed five officials over the theft of the Van Gogh painting last summer. Salzberg's Museum of Modern Art will hand over a 1915 painting by Klimt called "Litzlberg am Attersee" to the Canadian descendant of the previous Jewish owner. The work was seized in 1941. Italian antiquities were seized at the Swiss border and a curious apulian fishplate at looting matters. The LAPD's Art Theft Detail interviewed by Catherine Sezgin. Spain recovers paintings by Greco and Goya. Budget cuts may signal a decrease in historic preservation in the U.S.
Jordan has a new online antiquities database.